A selection of remarkable promotion offers are available, complimentary gifts and / or value-added extras. 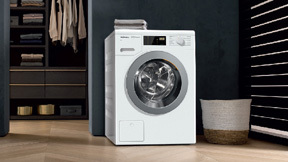 Enjoy the exceptional laundry experience by Miele. Discover the limited time offers now. Enjoy special price offer on the DG 6010 Black Freestanding Steam Oven for limited time! Discover the spectrum of Miele 120th Anniversary promotion offers to compliment your living. Enjoy superb value with our three-tier offer! One free packet of UltraWhite or half a year's worth of detergent with a 30% discount! Redeem your voucher for one free packet of UltraWhite or half a year's worth of detergent with 30% discount! 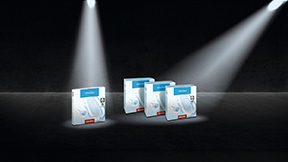 Free Miele UltraPhase detergent supply pack! When you purchased your new W1 washing machine / your WT1 washer-dryer with TwinDos you received a voucher for a free set of UltraPhase 1 and 2. Take advantage of the free-of-charge introductory offer or the stock-piling offer at a special set price.